Take charge of your health today and schedule an appointment with our Lincoln chiropractor; call 402-476-8483 today! At Buettenback Chiropractic we are committed to providing our patients with safe, effective and thorough chiropractic care. We pride ourselves on the quality of care we give to each of our patients. Dr. Ben Buettenback is a chiropractor serving Lincoln and the surrounding communities. Our chiropractor and the rest of the friendly team at Buettenback Chiropractic are dedicated to chiropractic solutions to target your unique needs, whether you are suffering from back pain, neck pain, headaches, or even just plain old muscular tightness and tension. You may need pain relief after suffering an accident, experiencing an injury, or if you have a specific condition such as chronic back pain or a spinal condition; even if you just want to improve your overall health, Dr. Buettenback can help you achieve your wellness goals! Please visit the testimonials page to see what our patients are saying about our Lincoln chiropractor and getting regular chiropractic treatments. 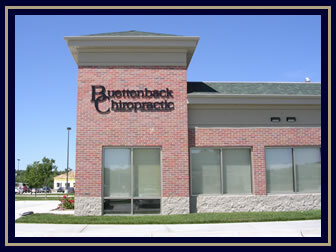 At your first visit to Buettenback Chiropractic, Dr. Ben Buettenback will take a health history, perform orthopedic and neurological exams and x-rays if necessary. 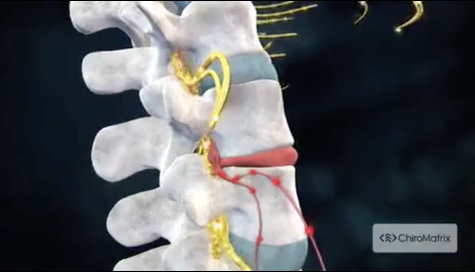 After reviewing your case, Dr. Buettenback will determine if chiropractic care is right for you. If there is a good fit, we can develop a plan of chiropractic care that is specific to your condition and health goals. If Dr. Buettenback believes you are not a good canidate for Chriopractic care he will refer you to someone that can better help your condition. If you have not been to a chiropractor before and want to find out more, please contact us or call 402-476-8483 to receive the answers to your questions from our experienced team. We also welcome referrals, so we invite you to share our chiropractic and wellness information with your friends and loved ones. Have you been looking for a chiropractor in Lincoln? Unlike conventional medicine, which focuses on attempting to treat disease once it occurs, the chiropractic care offered at Buettenback Chiropractic in Lincoln emphasizes the importance of improving your health in an effort to reduce the risk of pain and illness in the first place. Given the option, most people would prefer to be healthy and avoid illness if possible, and chiropractic care can help those people achieve their health and wellness goals.